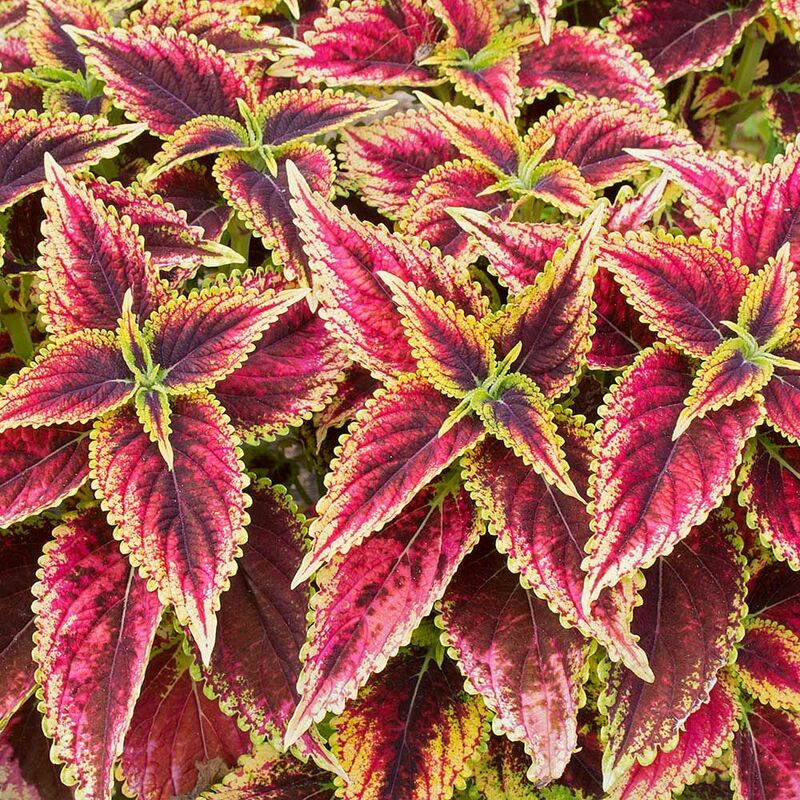 Coleus is reliably available at local nurseries here in Los Angeles, but I haven’t found them easy at all so haven’t gained much experience with making them happy. However — friends on the humid, hot East Coast, with a much shorter growing season, (and where White Flower Farm is located), have fabulous success with coleus and overwinter cuttings religiously. Your post has inspired me to try them again this summer, so thanks for that! One of the glasshouse guys at Hampton court did hold the national collection if that’s of any use to you? Thanks for that tip. I shall follow up. 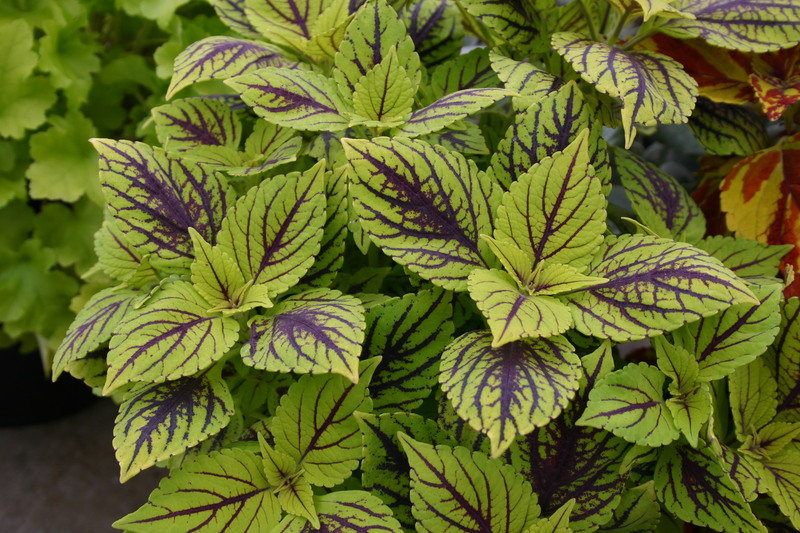 Regarding the botanical name, I believe some coleus did become plectranthus, but not the ones I am writing about. They are solenostemon, for now at least, according to the RHS. Oh no! That is ridiculous. I’m quite happy to remain in the dark ages as far as naming is required. 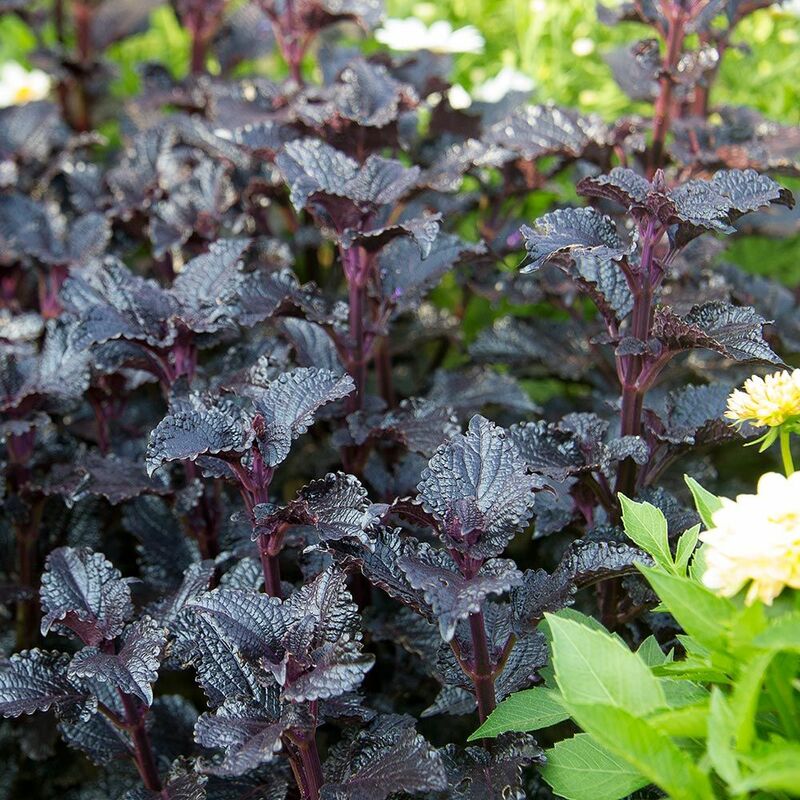 Most people who read my blog still call a chrysanthemum a chrysanthemum and a coleus and coleus. Thank goodness. I love mayanas but I am only growing the green ones now. The rest died on me years ago. thank you for posting the different varieties of this plant. I love Coleus! Probably the most psychedelic looking plant ever! Last summer I worked as a seasonal gardener and there were only two London households that had this beautiful plant growing. 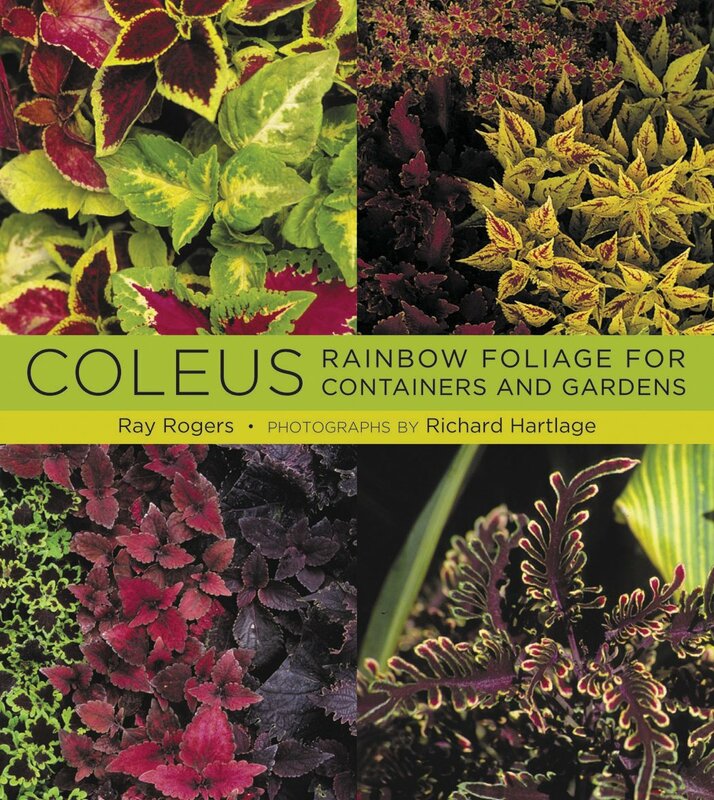 At that time I didn’t know what Coleus was but I immediately fell in love with it right there. Great post, Dan! Thanks Jason. I particularly enjoyed writing this one. What a brilliant post – thank you so much; I can totally see why you love these plants and why they love you! Also thank you for the lovely Instagram photo of your garden this morning (I think it was this morning?! Somehow it suddenly seems ages ago!) My morning inspection of the garden is among my favourite times of the day! Hi Jean. Yes, I love to go out in the morning, even if it’s just for 5 minutes, which it often is. I don’t leave myself a lot of time between getting up and catching my train into London. I’m a first time Coleus grower and I am not doing too great! A new opening for you, Dan- specialist Coleus breeder and grower! They are a plant I’ve always known about, but considered quite run of the mill( obviously never looked at them carefully) and never imagined there would be such a wide variety. 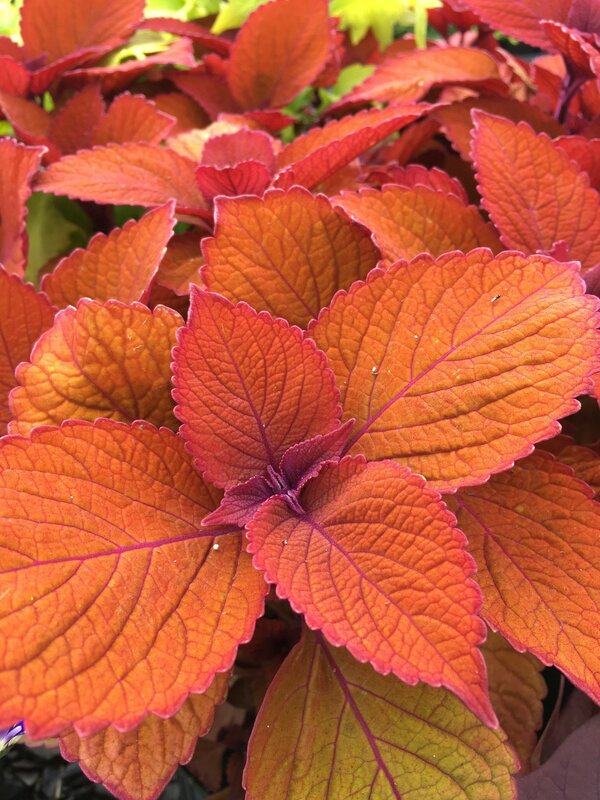 As loujnicholls wrote above, I think Coleus/Solenostamen is now reclassified as Plectranthus. Or did I miss something after that? Anyway, yes, I think they are having a surge in popularity here in the USA, just as dahlias have over the last 10 years or so. An internet search here finds lots of different mail order nurseries that have lots of varieties to choose from. And since they do root so well in water, I have been taking cuttings in the autumn and rooting them in water to pot up in winter. They live just fine in a sunny winter window and then can be transitions outside in spring. No greenhouse required. What a coincidence, there was also wine involved when I placed my Rosy Dawn Nursery Coleus order last winter. It’s easy to get carried away. So, if I’ve understood correctly, Coleus could be a houseplant? They look so beautiful but my garden is just too dry for them and I wouldn’t like to have to dig them up every year. My small potted coleus used to grow like fluffy ground cover to obscure the soil of large houseplant trees. They are quite easy to grow, but once they decide to bloom, it is not easy to keep all the developing floral spikes nipped off. Thank you for the information, Tony. During the 60s, 70s and even 80s you’d find the Coleus plant on every office window!! Then they seemed to vanish – ‘gone out of fashion’. Garden centers here in Co Mayo are not offering them for sale. I called in to see a friend last week and to my delight there in her kitchen was a coleus. I am now rooting a cutting in water and this morning I see roots appearing. 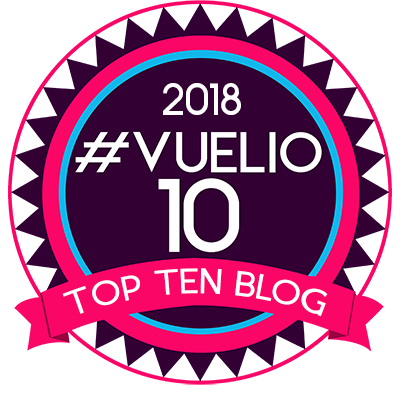 So enjoyed your colour full post………..
Coleus would work beautifully if potted inside some original West German Pottery from the late ’60s early ’70s. It’s like they were made for each other. Good shout. I’m a firm believer in more is more! Here’s someone who does their own spin on it. Love this a lot! Fabulous. A niche that very much needed filling. I’m a Poole pottery collector so I love this look. Top Tip Jason. 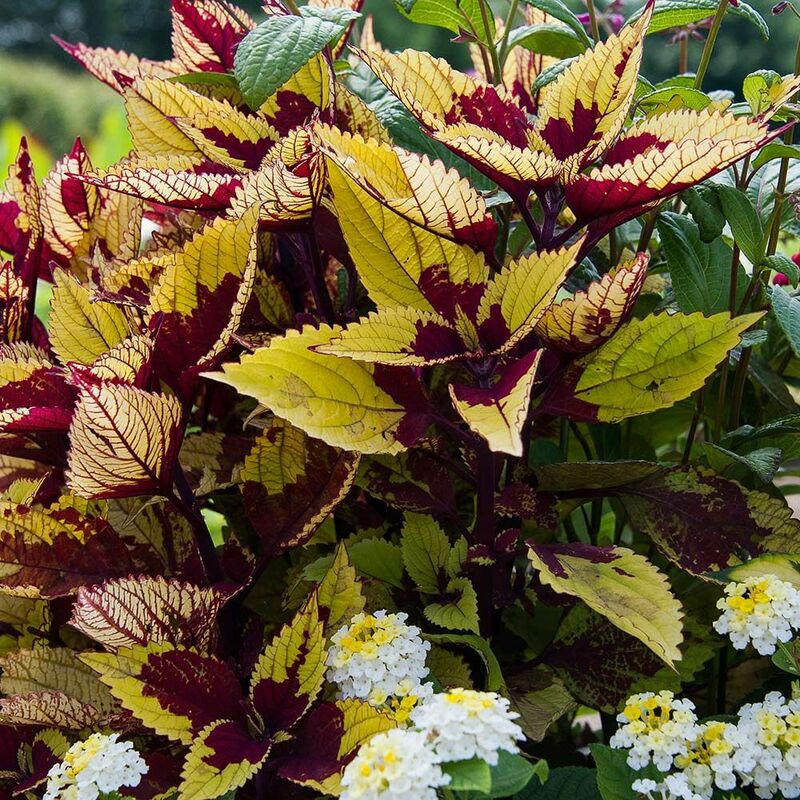 Here in the U.S., a lot of people use coleus as a filler plant in mixed summer containers. 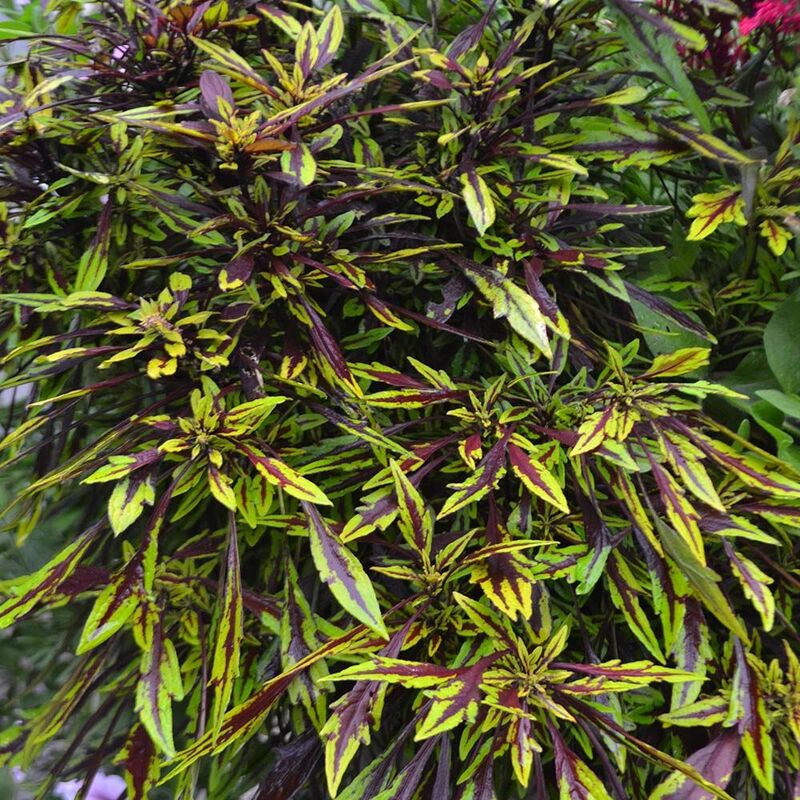 It’s often sold cheaply at big-box stores and supermarkets in packs of six, usually unlabeled as to cultivar and often bedraggled. 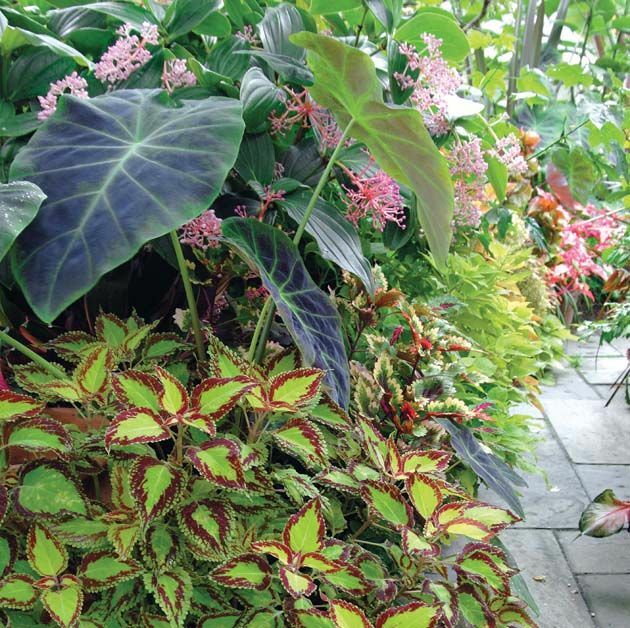 But I happen to live about a mile from a nursery that specializes in shade annuals–including coleus–and they always have a magnificent selection (https://www.urhausengreenhouses.com). I’ve been overwintering cuttings of an orange variety I bought there (don’t know its name) for three years now. As to making new plants, don’t even bother with the glass of water. Just snap off a stem and stick it in the soil. Assuming you keep the soil somewhat moist (but not too moist), your new coleus will be up and running in no time. I don’t know of another plant that’s easier to propagate. I have never purchases a ‘cultivar’! I mean, I think of them as inexpensive (or even ‘cheap’) annuals that I get in small six packs. 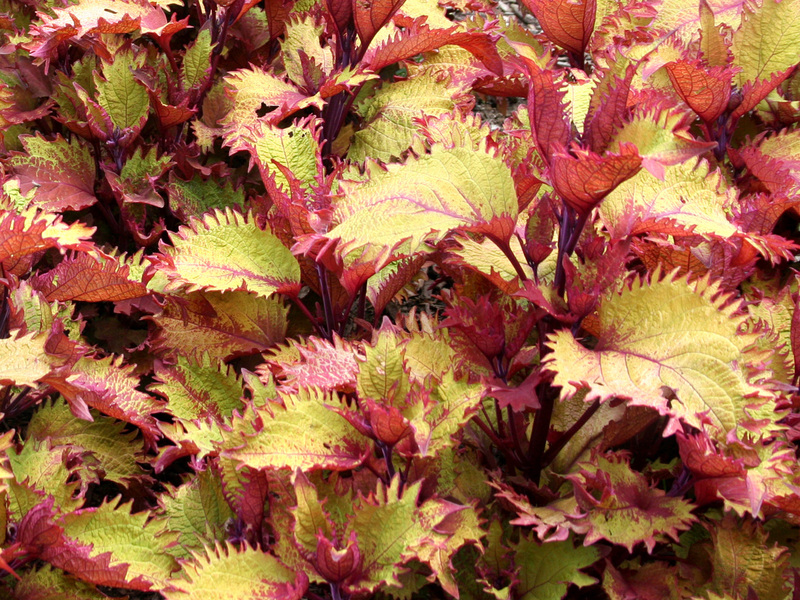 They are the common mixed coleus. I sometimes perpetuate those that I like most. I do not know if I have ever seen a cultivar in a nursery. That is a drag that they are no longer coleus. I can not keep up with all the changing names. I love coleus! The beautifully-colored leaves are such a delight to the eye. I enjoyed a really unbelievably hot visit to Kew Gardens yesterday (Sunday 24 June) and in the newly restored temperate house – lovely to see how large it is and how splendid – they have a splendid display of coleus! Clearly they have been able to get hold of seed or plants…. and I don’t think they came from their own seed bank as the plants looked remarkably like some of those that you feature in your blog. And very healthy, of course! Of course. I’d expect nothing less! It’s many years since I last went to Kew. Isn’t that terrible? Even when I lived in London it was a bit of a trek. What’s more I get in free because JLP have a deal for partners, so I have no excuse. I’ll have to hatch a little plan to visit for some coleus appreciation. The Temperate House is a good reminder to us all that decluttering makes a space look much, much bigger! I am enjoying your post and beautiful blog. I use Coleus in a large planter for summer interest under my porch where there is partial shade. It is used as an annual here in the U.S. and grows to be a magnificent focal point with all its color. Adding sweet potato vine along the perimeter adds a nice additional touch. 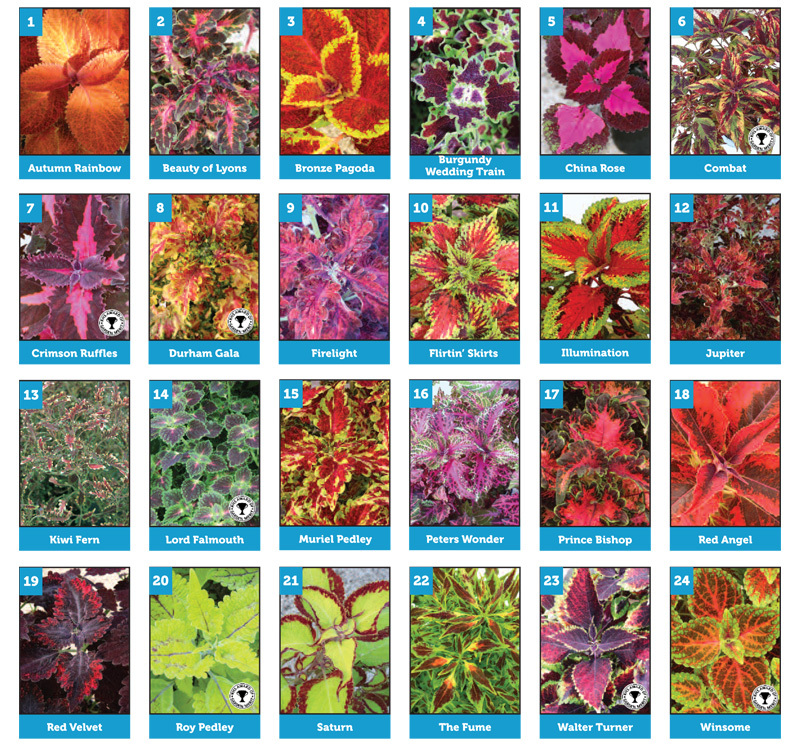 Camden Garden Centre have a good variety of coleus in so many beautiful colours. I grew mine from seed sown in early February.They were very slow to start.I sold most in 1 litre pots through June,though potted half a dozen into 3.5 litre pots for a display in an Orangery.These are making good specimen plants. The seed strain was (Wizard) Merlin mixed which is an improved strain.I might put them under lights next season which are much cheaper to buy and run these days.Apparently it works a treat. I could not find any of the named vars that US nurseries offer here in the UK either Dan so seed it had to be. The wholesale plug supplier Kernock plugs offer some vars but i did not need 50 of each. Likewise, I spotted those, but as I don’t have room for Victorian carpet bedding I resorted to those few that Dibleys had on offer. I may try seed next year if I can find the time. Meanwhile your orangery must look a picture!